If you have been following me on Facebook, you already know that I have been enjoying nettles for the first time. Since getting a big bag from Mountain Rose Herbs, I now always have a jar made in my fridge so I can enjoy a cup each morning. Don’t know much about nettle? I’m going to share with you the long list of benefits and I’m also going to show you how to make it – its so easy! Nettle has been used for 1000’s of years yet it seems to be overseen by most people. This simple dried leaf is a warehouse of vitamins & minerals and 16 amino acids. Not only does it contain vitamins A, C, D, E, and K as well as the B vitamin varieties of thiamine (B1) and riboflavin (B2), but it has a long list of beneficial minerals. The nettle plant is loaded with calcium, chromium, cobalt, copper, iron, magnesium, phosphorus, potassium, silicon, sulfur, and zinc. Its deep green foliage is ultimately evident of its high chlorophyll and B-carotene content. It has been claimed that the effects of drinking just two cups a day could improve your health. Nettle leaf is a potent anti-inflammatory agent and curbs the action of cytokines which induces inflammation and pain in joints. Nettle tea is known to alleviate gout and arthritic pain in patients of rheumatism. Nettle leaves also prevents the production of chemicals called prostaglandins which are known to induce bodily inflammation. Nettles contain lectins which help to neutralize toxic antigens in the body. It is therefore an immunomodulator and an immune strengthener. It helps clear skin of acne and eczema. 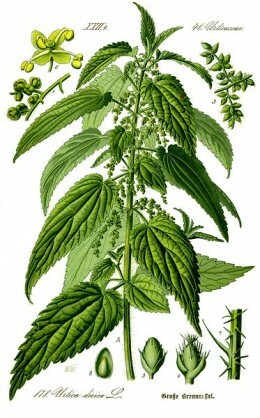 Nettle is used to increase fertility in both men and women. Nettles act as diuretics that help the body expel increased and unnecessary amounts of uric acid and bacteria in the body, which in turn limits the chances of developing UTI’s. It can also dilute any formed kidney stones, washes toxic matter out of the system, purifying blood by forcing kidneys to discharge higher levels of water. 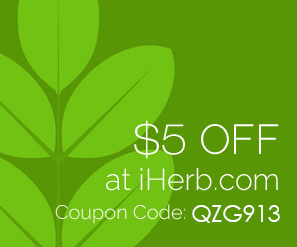 Nettles have high iron content that helps people battling anemia. It helps the body replenish red blood cells by aiding the body to produce sufficient amounts of hemoglobin in RBC’s. Expecting mothers should drink plenty of nettle tea, especially through the last few months of pregnancy which reduces the chances of excessive bleeding during child delivery, and possible chances of hemorrhage in newborns. Consumption post-birth is also very wise because Nettles boost the production of milk in lactating mothers. 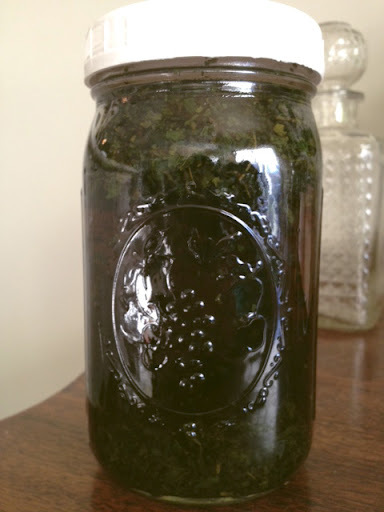 Nettles are highly reputable for treating allergies. It clears up the respiratory tracts, helps eject phlegm from the body, and aids treatment of chronic diseases related to the mucus membranes of the bronchi. Drinking 3 healthy cups of nettle tea a day can keep springtime pollinosis away, as per the University of Maryland. In fact, one should begin consumption of the tea before the season of allergies commences for optimum protection. Nettle tea is also said to be helpful in the treatment of asthma. 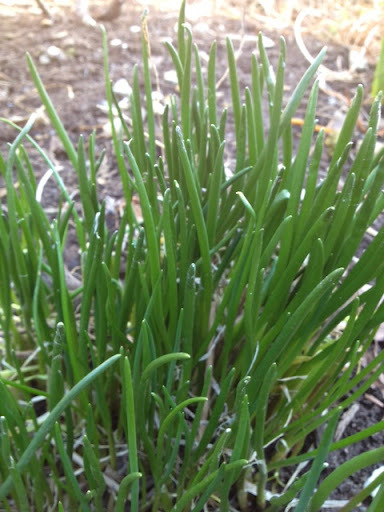 The plant’s seeming ability to fight allergic infections is what makes it a good ally against asthma. 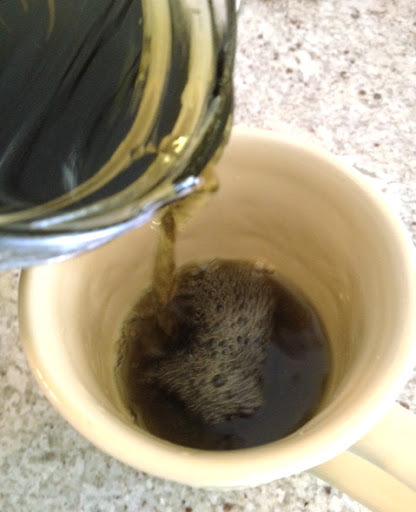 Drinking Nettle Tea can help alleviate diarrhea and relieve pain from hemorrhoids. It also acts as an intestinal wash, eradicating worms or combating bad bacteria. Nettle tea is a wondrous muscular spasmolyte and magical curative of leg cramps owing to its high calcium content. 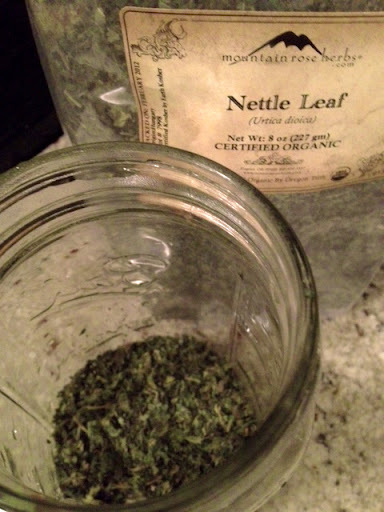 First off, you want to purchase a good quality organic dried nettle leaf. I really love Mountain Rose Herbs for their high quality organic goods. I like to make big batches in quart size mason jars. 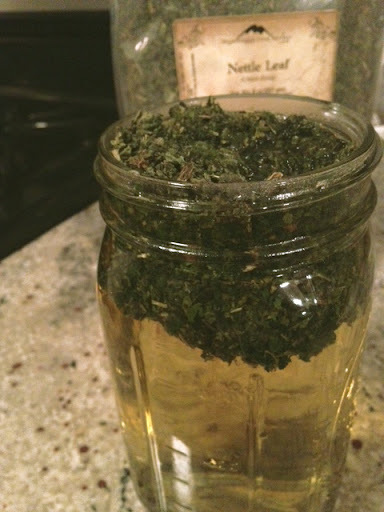 Add 1/2 cup dried nettle to bottom of Mason jar. Add boiling water and fill to top. Cover loosely and allow to sit on counter for at least 4 hours. 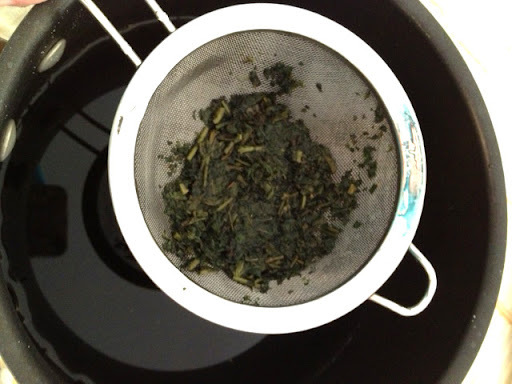 I sometimes leave mine overnight – you want to get a strong tea! When its ready it will be a dark green color. Chlorophyll baby!!! This is the good stuff you want! Strain your nettles into a large pot. I press the leaves with a back of a spoon to get every bit of liquid out. You can now transfer back into jar, cover and keep in fridge. One quart usually lasts me only a few days (one cup a day) so I keep making a new batch every 3 days. You may ask what it tastes like? It has a very mellow sweet earthy taste. Don’t let that deter you from trying. Its actually quite pleasant and very soothing to drink, especially with honey added to it. I actually really, really enjoy the taste. Even my boyfriend loves it! 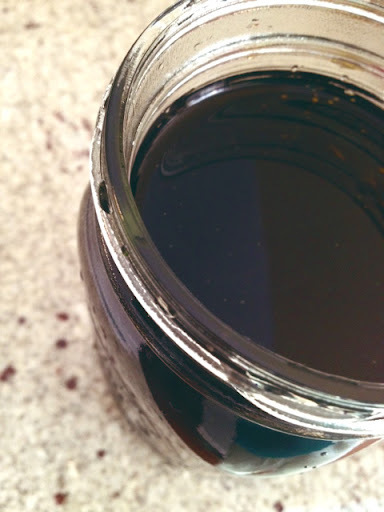 The long list of beneficial compounds in this one cup of tea is silly to pass up—-Get your nettle on now! Sloppy Jose’s, Macaroons and Probiotic Milk!! I stayed home today intending to rest but I ended up doing things around the house all day. Most of the time I was in the kitchen, which is really a form of relaxation to me. Some people may not understand that concept but cooking, baking or even cleaning the kitchen is something that is such a domesticated rhythm that I enjoy being in. I love more then anything cooking a home cooked meal for my honey. I have been determined to cook a Vegan meal that surpasses his standards. He is a typical meat and potato eatin’ kinda guy and sometimes our ways of eating are complete opposites. 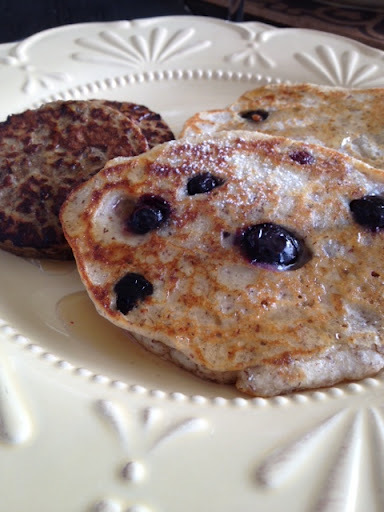 I always try to keep things gluten free, where he can’t stand the taste of anything GF (except my pancakes!) So I’m on a mission to make dinners we both can enjoy or easy recipes that I can adapt to make a vegan version for myself. This one my friends is one of those meals! 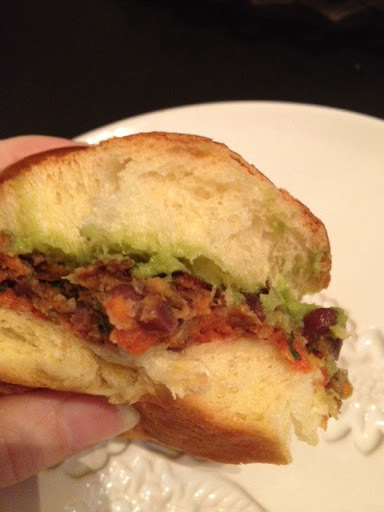 I revised a recipe for Black Bean Mexicali Sliders from Chef Chloe that I found on her website. I switched up a few things and also would like to switch up the name because I hate to call these sliders. They are so far from being a “meaty” burger or slider consistency. They reminded us of sloppy joe’s. They were soft but had a little bite of texture from the beans and carrots and an awesome flavor profile. The sauces….mmmm…they made these. Don’t omit them! Oh and I changed the main ingredient – no black beans. I cannot digest them! Soooo, I used Aduki beans. 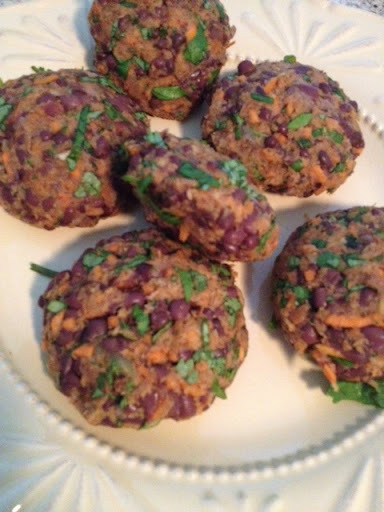 These are very popular in a macrobiotic diet because they are more easily digestible then any other bean. In a large nonstick skillet, heat 2 tablespoons oil over medium heat. Add onions and let cook until tender and slightly caramelized, about 20 minutes. Transfer onions to a large bowl. 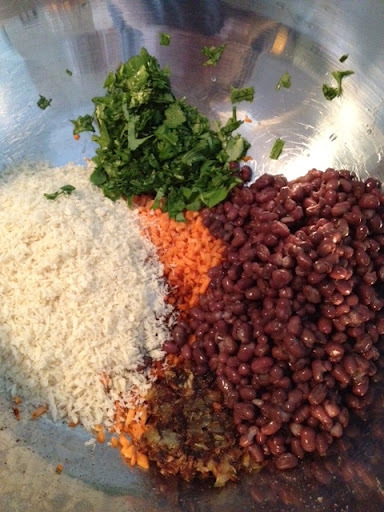 Add beans, carrots, breadcrumbs, chili powder, salt, cilantro, and water to the bowl of onions. Use a large spoon or your hands to mash it all together. 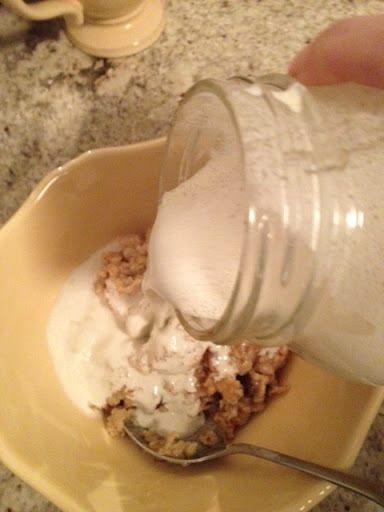 If the mixture is too dry to hold together, add more water, 1 tablespoon at a time. 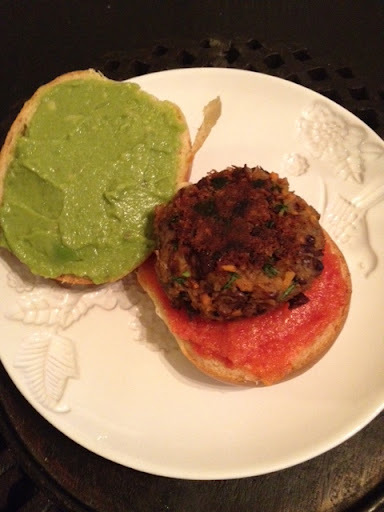 Using your hands, form the bean mixture into patties, to match the size of your slider buns. In a nonstick skillet, heat remaining 2 tablespoons oil over medium-high heat, and pan-fry patties about 3 minutes on each side, until lightly browned and crisp. Add more oil to the skillet as needed. Drain patties on paper towels. 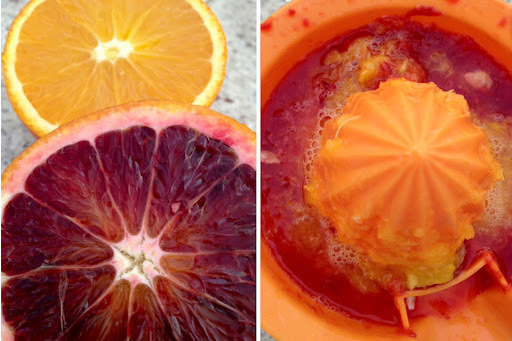 To make the mango ketchup: Combine all ingredients in a blender and blend until smooth. To assemble the Sloppy Jose’s: Spread mango sauce on one side of bun and guacamole on the other and place bean patty in between. 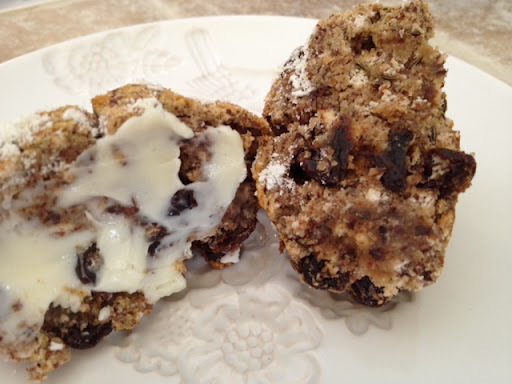 And for dessert….which by the way, were honey approved as well…. 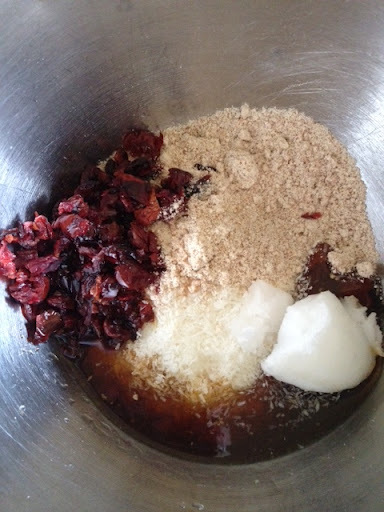 Add coconut, almond meal, dried cherries, coconut oil, agave and extract in a large bowl. 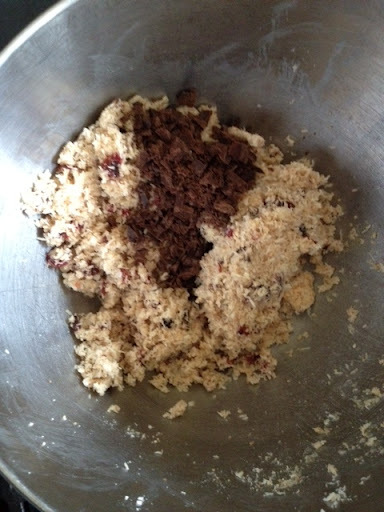 Mix with hands or a spoon until mixture starts to hold together. When thoroughly mixed, fold in chocolate. 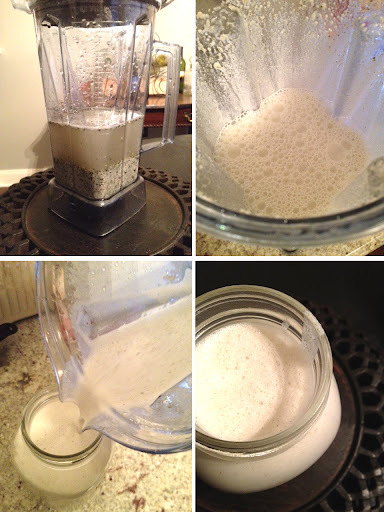 Use a tablespoon to scoop the mixture out and press into a ball. 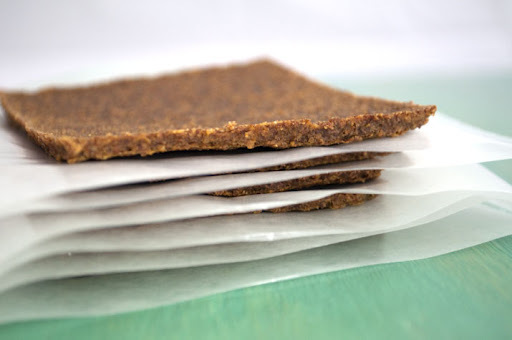 Place on dehydrator sheets and dehydrate until desired consistency is achieved. 8 – 10 hours. *I like to keep raw chocolate bars on hand for things like this. 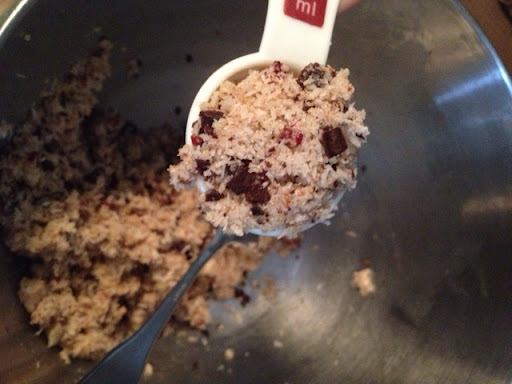 I dice up a few chunks and have instant raw chocolate chips for recipes. 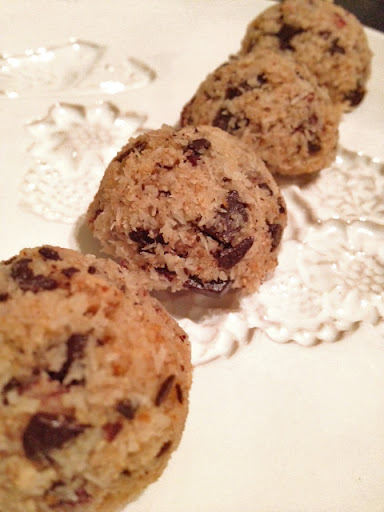 You can also use raw cacao nibs as well. I enjoyed a probiotic filled milk with my macaroons. 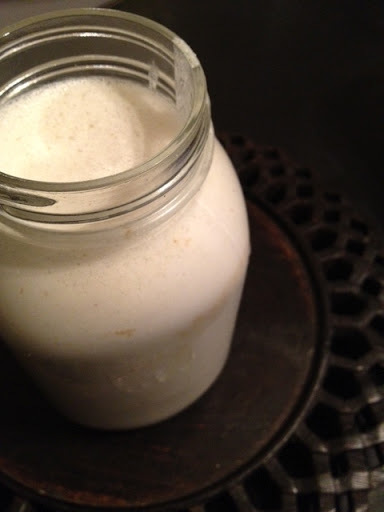 I made SCD yogurt a few days ago. For those of you unfamiliar with SCD diet, it has been proven to help a lot of people with autism and digestive diseases. It is very strict and there is a lot of meat eating involved so it’s really not a diet for me. Although it’s not vegan, I do respect and highly support the ideas behind this diet. It makes a lot of sense. 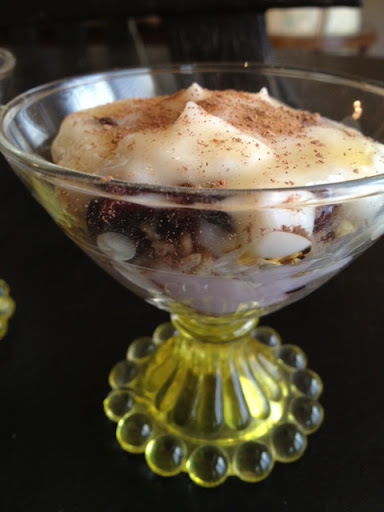 I used to make this yogurt back in the day and I did find that it helps. I need to bump up my probiotics right now because something has been putting my intestines on the fritz and I think it has something to do with my intestinal flora being off. You only need a little bit each day to gain benefits. It is filled with TONS of good bacteria- – much more then any commercial yogurt. Since I don’t like the consistency of yogurt, I have a hard time eating a bowl of it straight up. Add granola, I’m fine. Mix it with milk – even better. 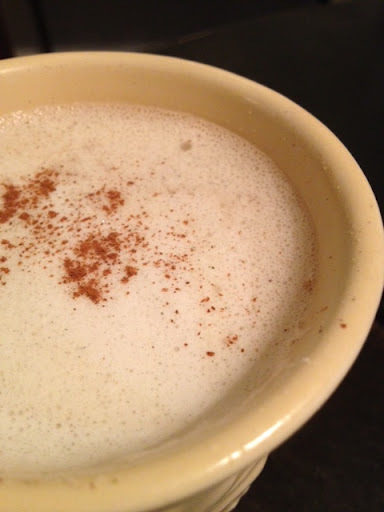 I take a few tablespoons with a cup of almond milk, sprinkle of cinnamon, teaspoon of agave, vanilla powder and vanilla extract and mix up in the blender. You get a tangy, sweet little probiotic filled glass of milk. Perfect before bedtime on an empty stomach! Every year on St Patrick’s Day my mother would make corn beef and cabbage with potatoes and carrots and irish soda bread. I never was as big of a fan as my little brother, for she really made it special for him. He would devour platefuls of beef while I gorged on slice after slice of toasted irish soda bread slathered in butter. I did some research and after a few failures of attempting to create an old favorite as a Gluten-free Vegan version, I finally found the perfect recipe. It was simple too. I thought it was just as good as the original. My boyfriend, the taste-tester – well, he thought it was a little dry but he is so used to eating traditional bread. Irish Soda bread is typically on the dry side anyways! Smear some butter on these babies and you’ve got yourself a little treat. 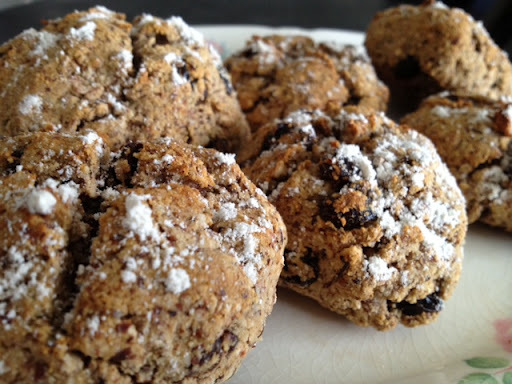 The savory caraway seeds compliment the sweetness of the raisins perfectly. I enjoyed these as a breakfast treat with tea or just alone as a snack. I definitely will not be waiting till next St Patty’s Day to make these again. while you prepare the other ingredients. Next mix the milk with lemon or vinegar and allow that to rest for a few minutes. caraway seeds in a bowl thoroughly ensuring no clumps. 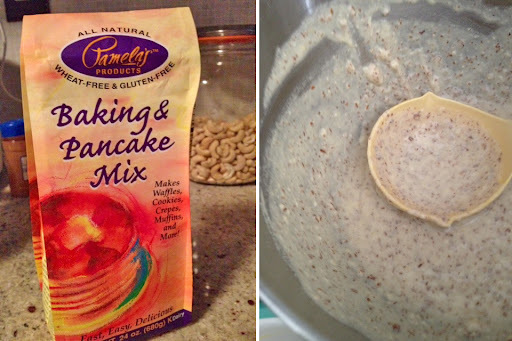 In a separate bowl, whisk the flax eggs, milk/vinegar mixture and honey. Mixture will be gooey. Spoon onto parchment paper into biscuit shapes. If you want the traditional dents take the edge of a spatula and mark a cross in the tops. Dust the top of the biscuits with gluten free flour. 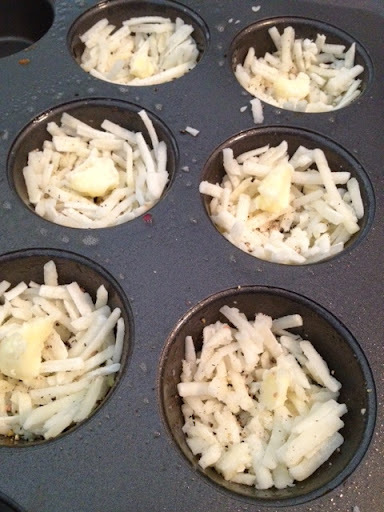 Bake at 350 for 20 minutes and allow to sit until cooled. Schmear with butter and enjoy! 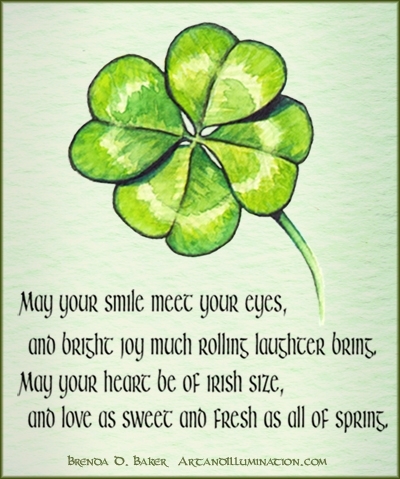 My boyfriend’s mother has Celiac (who is also Irish and loves St Patty’s Day!) 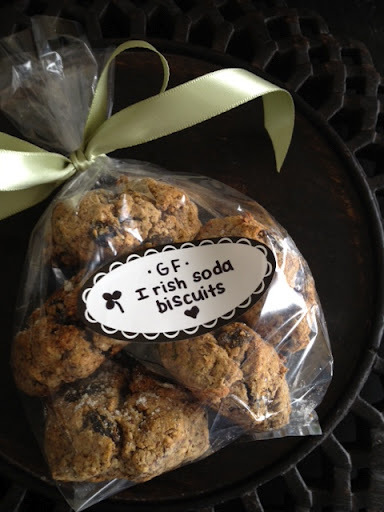 so I made these specially for her since she misses eating soda bread so much. Hopefully they satisfied her craving! 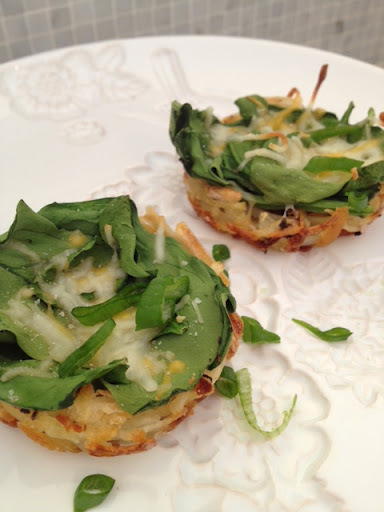 then I added spinach and cheeze and put it back in the oven for a few minutes until the spinach was a little wilted. I served it with green onion on top. A perfect little Irish breakfast for the two of us. Typically we dedicate Sundays to be our lazy day. 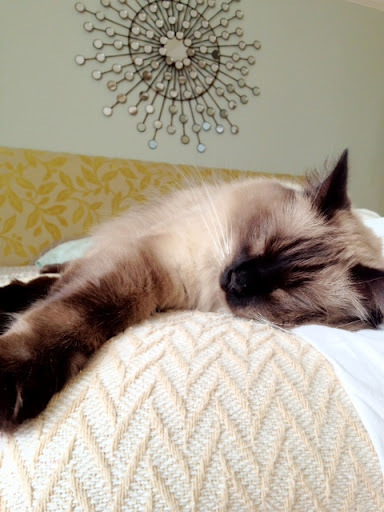 I often call them Lazy Sundays because it’s a time for regrouping and preparing for another work week ahead. This weekend was different. We spent the day Saturday lounging around the house in our pj’s, watching tv. What a better way to begin the relaxing day then with a big pancake breakfast. Wait, maybe the breakfast was the whole reason behind our laziness? 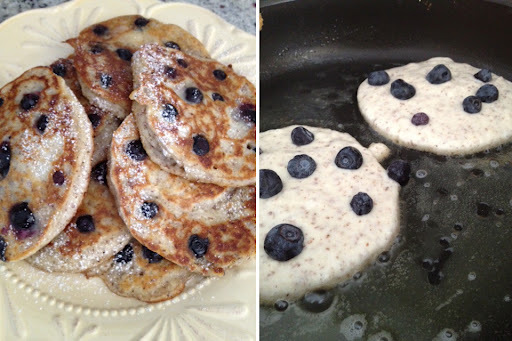 Hmmm…either way, every once in awhile one should indulge in pancake Saturdays! I began with squeezing fresh orange juice. 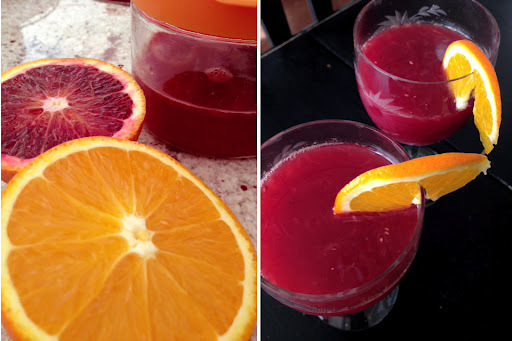 I like to mix a few navel oranges with blood oranges. So vibrant and sweet! When eating gluten free, making old favorites doesn’t have to be hard. I am not a fan of having a huge blend of flours on hand to make old favorites. Sometimes its as easy as having one bag in the cupboard for things such as this. I also was super excited to find gluten free vegan sausage patties at Whole Foods! They are made by Sol-Cuisine. They were really yummy, the texture and spices were perfect. The best part was my boyfriend was unaware these were gluten free and gobbled up a plate (or two) of pancakes. I waited to tell him until after he was done. He seemed to be rather impressed and would definitely eat them again. Yayyy! I thought I would share another breakfast idea. This one is fast and very easy to prepare. Whatever you have in your kitchen, nut and fruit wise, throw it on in there! Layer it and make it visually appealing so you feel like you are indulging in something special. 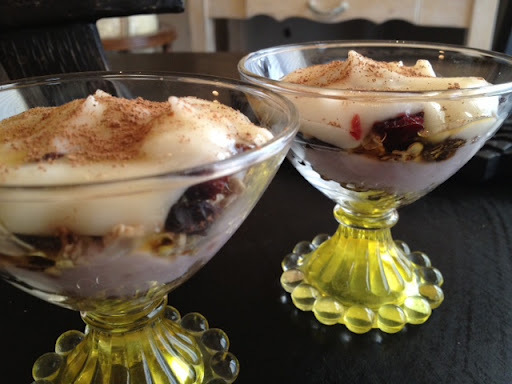 I layered Coconut Greek Style Yogurt, Lydia’s raw cereal, diced dried Bing Cherries, and cherry almond yogurt. I finished it off by sprinkling raw cacao and drizzling honey on top. 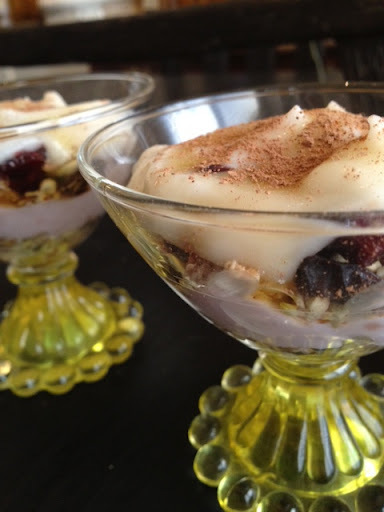 You could even make these the night before so everything settles and softens within the yogurt, but I prefer a little crunch in mine so we ate them right away. Once again it was BF approved, which we like! Later on that lazy Saturday we actually had to get to it, and go to my goddaughter’s 3rd birthday party. Lucky for me, everything that was served was Vegan. I wish I took more pics because she had some great ideas. There were colorful rainbow fruit kabobs, kale chips, hummus and lots of dips…salads, vegan sausage and peppers, eggplant, and my best friend’s wonderful Vegan cupcakes! The theme was enchanted forest so there were toadstools, gnomes, and fairy theme items all around. She served food on platters made of tree stumps and sheets of moss, and she gave out garden tool sets and wildflower seeds as goodie bags. There was even a painting station where the kids could paint their own little birdhouses. I wanted to get in there and paint one! 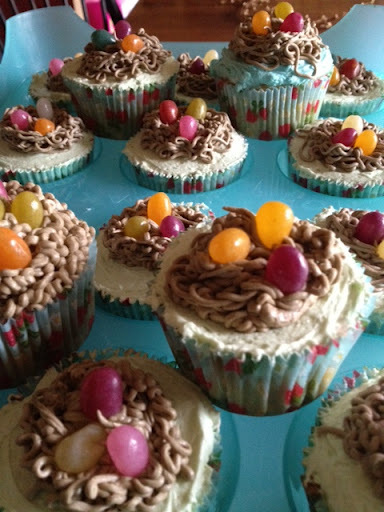 She piped icing to look like little bird’s nests. So cute! Don’t tell anyone, but I had two. Bad Aunt Lou-Lou! Felt a little icky after eating that much sugar but I survived. Can’t wait to plant these! 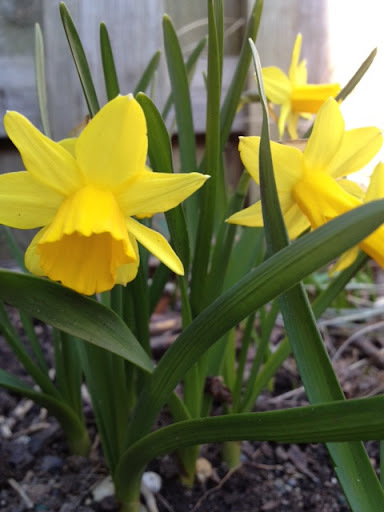 Spring seems to have sprung here on the East coast and I couldn’t be any happier!!!! 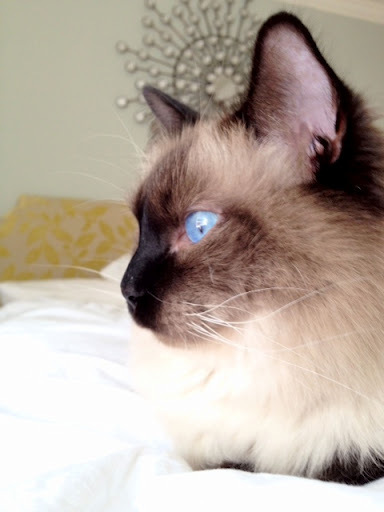 Bowie loves staring out the window at the birds. Hope you guys have a healthy and happy week! I realized I haven’t shown my good eats in awhile so please bear with the full content of food pics. 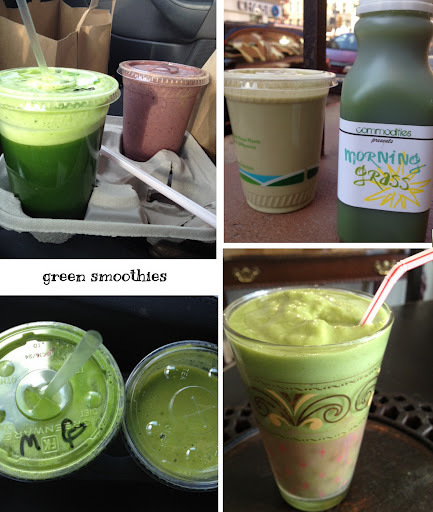 I start with my trip last week to Philadelphia….the first few pics are not the healthiest – beware. This is just HALF of it! It was huge! 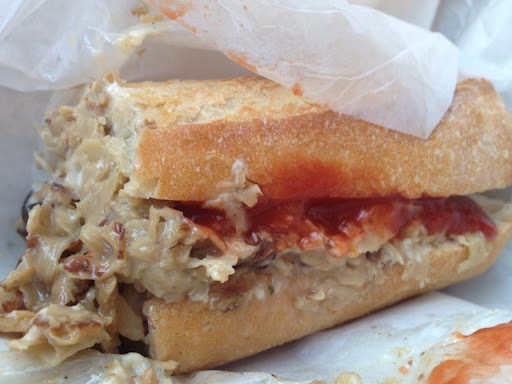 It was cheezy and full juicy mushrooms and melt in your mouth seitan. I thoroughly enjoyed it but only could eat half…..but to be honest… I wasn’t too excited to eat bread like I expected to be. I’m not used to eating like this so I felt really heavy afterwards. The slice was awesome too, but again because I was so full from the cheese-steak, I only ate half. I peeled all the onions off too! Since I started going to Philadelphia for my GI appointments when I was 6 years old, it became tradition to get a Philly cheese-steak after each Dr. Visit. Not the healthiest tradition. So this year was the first year I did not get a real cheese-steak. 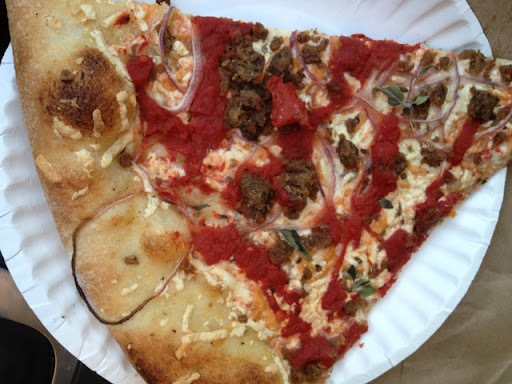 I found a full Vegan Pizza shop called Blackbird Pizzeria and their slices and cheese-steaks got high ratings compared to the other few vegan contenders. I had a great dr’s appointment and wanted to treat myself but in the end I felt a little guilty eating all this bread! 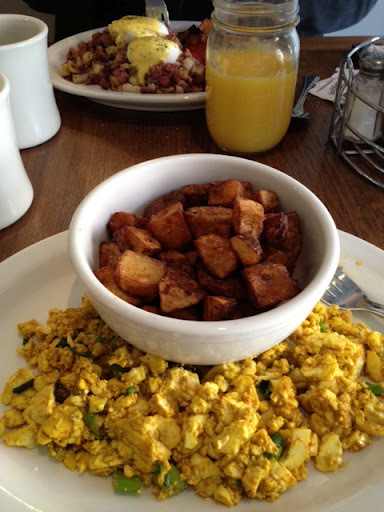 One Saturday my boyfriend brought me out to breakfast to a new little cafe called Toast in Asbury Park. They serve regular food and have a lot of Vegan choices too. It was perfect. My boyfriend got his meat and eggs and I ordered tofu scramble with oven roasted potatoes and a side of vegetarian sausage patties and fresh squeezed OJ. It was divine and so enjoyable to enjoy a breakfast out with my honey. There just aren’t enough Vegan breakfast options out there! 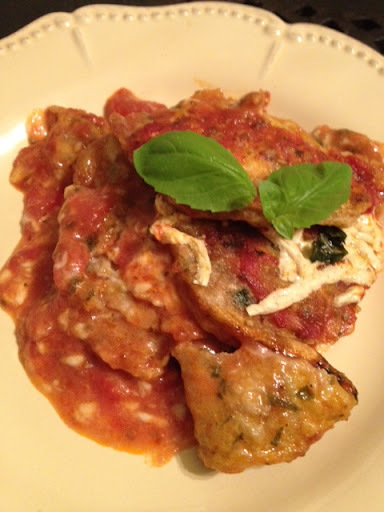 One night I made a dish of eggplant parmesan using my mother’s famous recipe for my boyfriend and also made a mini tray for myself with a few little changes to make it healthy. I used Daiya cheese for the mozzarella. Came out pretty good for my first try but next time I will use a lot less cheese then I did here – it was too much! Another night I made brown rice and made a spicy broth of water with vegetable bouillon, tamari, garlic ginger, miso & Sriracha. I added lightly steamed zucchini, broccoli, carrots, and sprouts. 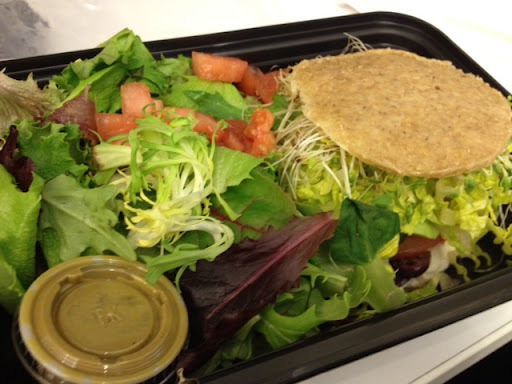 One of my favorite lunches to get delivered to work is a raw Chef’s sandwich from Quintessence. 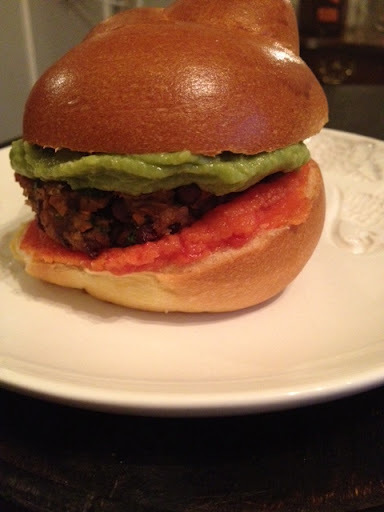 It is scallion cream cheese, sprouts, olives, cucumbers, avocado, lettuce, and tomato on a raw “bun” with a side salad. Oh. My. Lord. This was the mother of all salads. It was such a HUGE helping, I continued eating it for 3 days after. 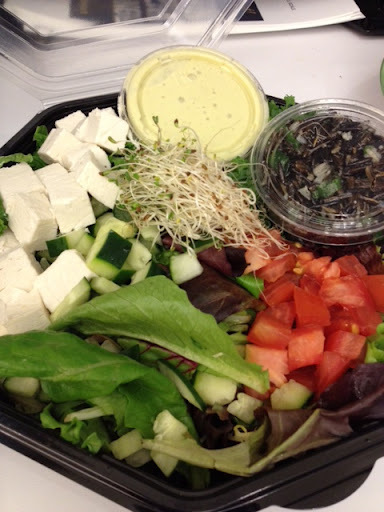 It was mixed greens, kale, tomato, sprouts, cucumbers, Fofu cubes (yes, raw tofu made from cashews!! Amazing.) Garlic and scallion wild rice with a big container of raw Caesar Dressing. Oh, and an order of raw bread on the side. Yummy! I also ordered a raw “Vanilla Shake” for dessert. And yes once again, another lunch from the same place. Can you tell I love it here? 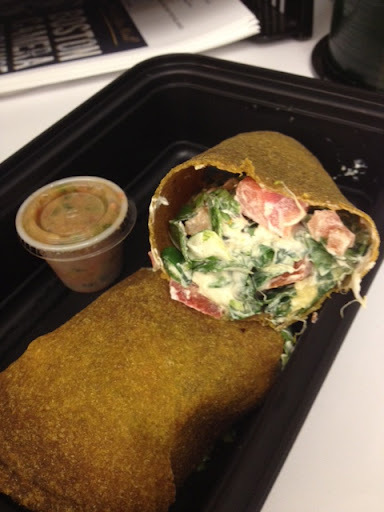 Similar to the Chef’s Sandwich but with lots of spinach in a savory crepe served with live salsa. One night I made brown rice. I cooked it in Veggie broth and made it really thick and soupy, almost like a porridge. 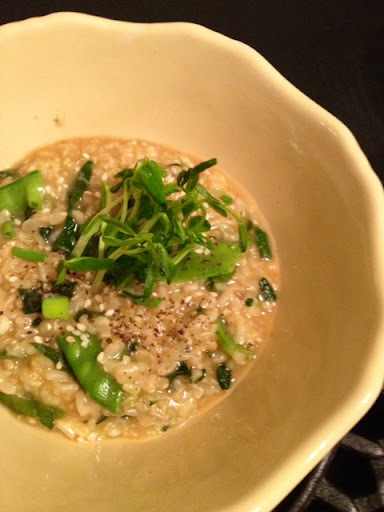 I added chopped garlic, garlic, miso, sesame oil and tamari as it cooked. Added snap peas, green onions, kale and spinach. 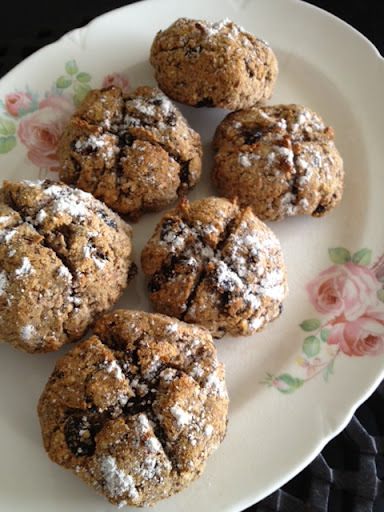 Sprinkled with Sesame seeds and dulse flakes. 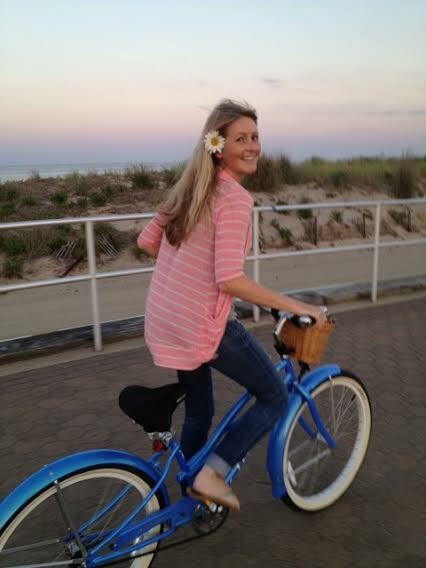 One night my boyfriend took me out to a nice restaurant called the Salt Creek Grill in Rumson, NJ. I loved how they had a few gluten free options on the menu. This dish was gluten free & Vegan. Tofu grilled on a mesquite grill atop quinoa, almonds, wine soaked raisins, sliced grapes and kale. 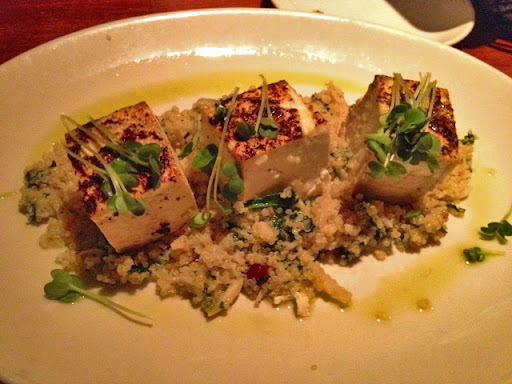 I’m typically not a tofu steak kinda girl but this was really smoky and delicious. I love how the sweet grapes and raisins complicated the savory flavors of the dish. Last night for dinner I just wanted something really simple. 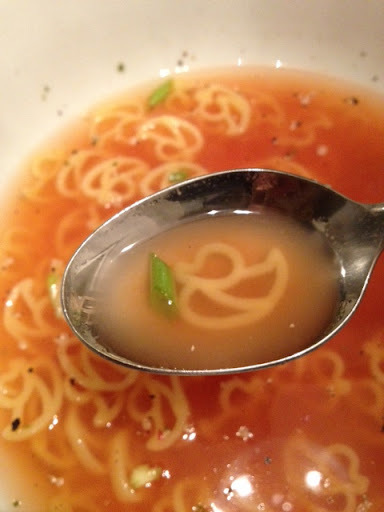 I boiled some veggie broth and added tomato paste, salt and pepper, gluten free ducky shaped pasta and green onions. 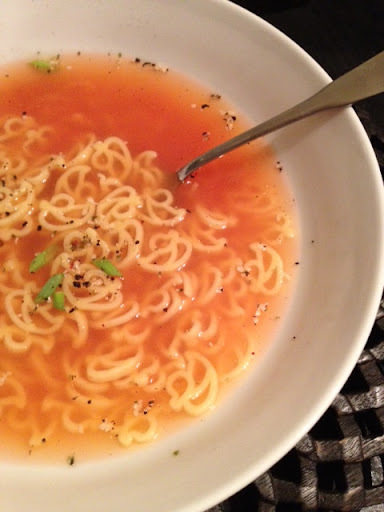 I’m almost 30 and still love shaped noodles! 🙂 They make me happy. This morning I wanted something savory. 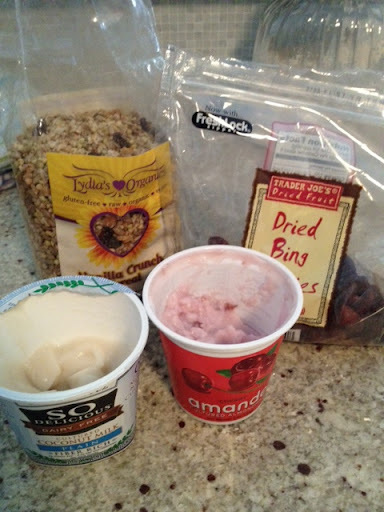 Very different from my usual “sweet” oatmeal, cereal, or smoothie breakfasts but it hit the spot. Just what I needed to start my busy day. 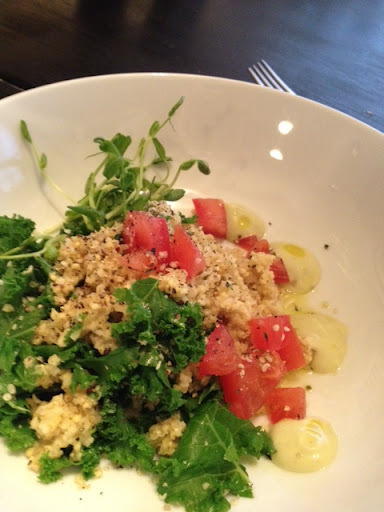 Millet with raw kale, tomatoes, peas shoots with creamy miso caesar dressing. I basically toasted the millet in a skillet until a nice fragrant smell appears. Be careful not to burn, only needs a few minutes. Keep shaking the pan so that it doesn’t burn. Then I added it to a pan and added enough water to cover the millet. Simmer covered until all liquid is gone and the millet has slightly puffed. (Millet is just like cooking quinoa or rice) I then added salt and pepper, dulse and hemp seeds, raw kale, sliced tomatoes, pea shoots and drizzled olive oil and caesar dressing on top. 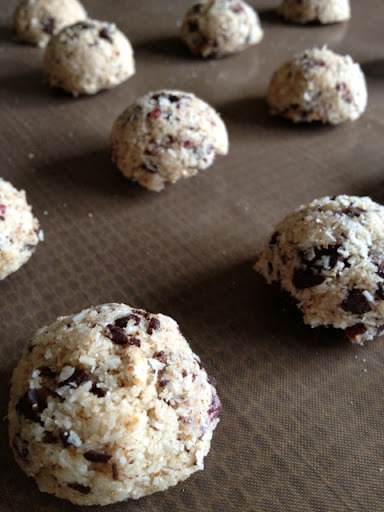 I have yummy dessert treats being “baked” right now in the dehydrator. They consist of raw chocolate and peanut butter – one of my favorite combinations. I will share if they turn out! This morning I ran out of my usual almond milk from Trader Joes (only store bought brand I buy because it doesn’t contain Carrageenan and loads of hidden sugar). I was distraught because I was already boiling a pot of fresh oats on the stove and had made my morning tea brewed. I can’t have either without milk! Then the 5lb bag of hemp seeds I just bought were staring at me. 10 minutes later I was enjoying fresh raw vanilla hemp milk in my tea and oatmeal. It couldn’t of been any easier. I think I’m going to surpass buying anymore store bought milk for a little bit considering how easy this was. All you need is a blender, no straining is necessary. This milk is so much healthier for me too! 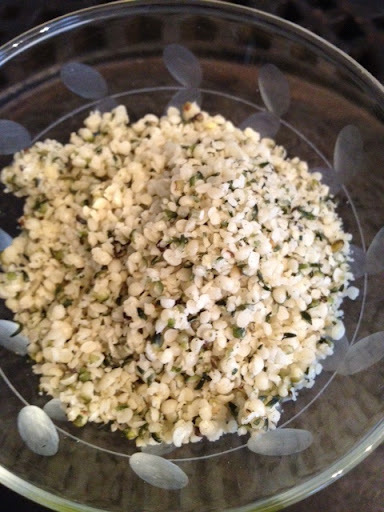 Hemp seeds have a rich, nutty flavor, similar to sunflower seeds. Hemp seed nuts actually contain more high-quality protein (6 grams per tablespoon) than beef or fish! Hemp is also really good for boosting your immune system, helping to build strong bones and even helps grow strong nails, hair and great for your skin, muscles and connective tissues. Will keep in fridge for up to 3-4 days. This milk came out frothy and thick and oh so yummy. 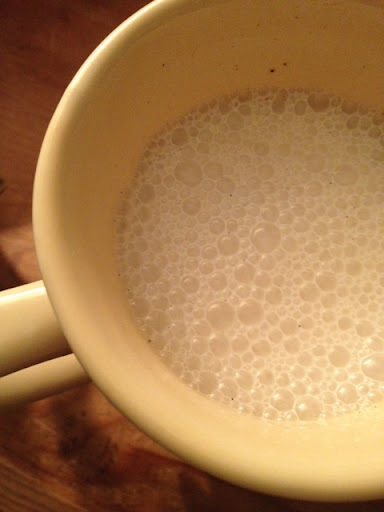 When I poured in in my tea, I had a thick foamy top, which I love. You can sweeten with 2-3 pitted dates instead if you would like, or make chocolate hemp milk by adding a tablespoon or two of raw cacao. I would even think adding some coconut milk to this would be yummy as well! 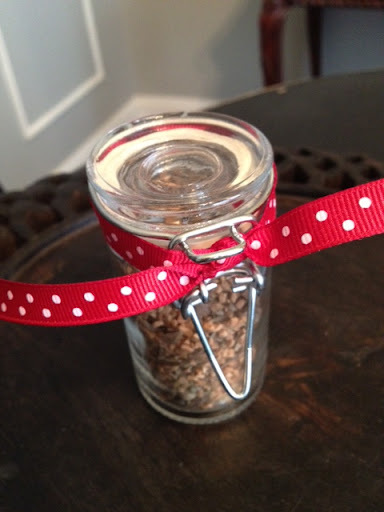 Want more recipes where you can use hemp seeds? 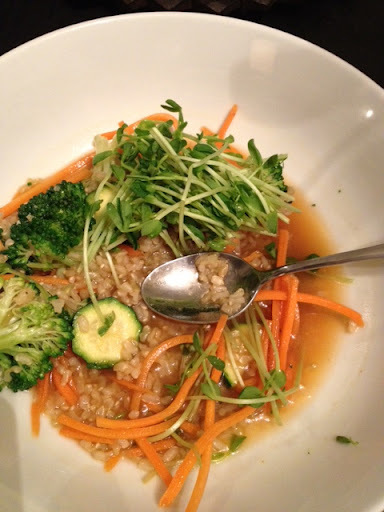 Check out these raw recipes!